Ken Niedziela is a longtime journalist and editor who started his professional career at The Blade newspaper in Toledo, Ohio, before he moved to Southern California for an array of assignments at The Orange County Register. He entered magazine journalism in 2008 as managing editor of Veterinary Practice News and later as special projects editor and news editor at Pet Product News International. He was editor of Veterinary Practice News until January 2017, when he joined the North American Veterinary Community to plan the launch of Today’s Veterinary Business. The Rochester, New York, native earned his journalism degree from Michigan State University. 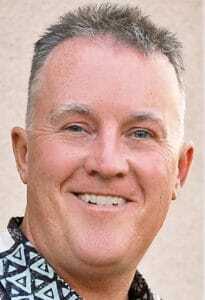 He lives in San Clemente, California, with his wife, Deanne; son, Alex; and daughter, Alyssa. He can be reached at KNiedziela@NAVC.com.